Lace is continuously evolving; as a material, how we think about it and how we use it. Currently there is considerable interest in it from artists, architects and designers who have been inspired by its aesthetics, cultural associations and techniques. Through a series of dramatic and ambitious new site-sensitive installations, the works that were featured in Lost in Lace played with ideas around the holes, spaces, boundaries and structures that lace creates. Through changing its scale, to create large and small installations, the artists drew attention to these different qualities. 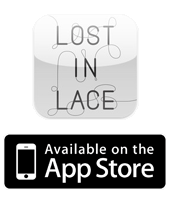 Lost in Lace brought together both leading and emerging artists and makers - many of whom exhibited in the UK for the first time. From the intricate to the monumental, the contemporary works on show challenged the viewer's existing notions of space and encouraged them to renegotiate the mysterious new environments and blurred boundaries that emerged. There wasn’t a designated route through the exhibition – the viewer was invited to make their own journey. "In this exhibition I have asked an international group of artists, makers, and designers to move beyond their usual margins of practice. My challenge was: how to shape the perception of the potentially radical relationship between the structure of lace networks and architectural space? Their responses have been to question the ways in which we move through space and the nature of boundaries and thresholds. With no defined narrative path through the exhibition, visitors will be encouraged to confront the same questions, as they are invited to move freely within, through and around the works." The exhibition was a partnership between Birmingham Museum & Art Gallery and the Crafts Council, as part of the Fifty:Fifty Programme, and was developed in association with the University for the Creative Arts. Lost in Lace was a Birmingham Museum & Art Gallery and Crafts Council Exhibition, in association with the University for the Creative Arts. The Crafts Council’s goal is to make the UK the best place to make, see, collect and learn about contemporary craft. Visit craftscouncil.org.uk for more information. Birmingham Museums & Art Gallery’s vision is to create world class museums at the cultural heart of Birmingham. Visit bmag.org.uk for more information. The exhibition is curated by Lesley Millar.